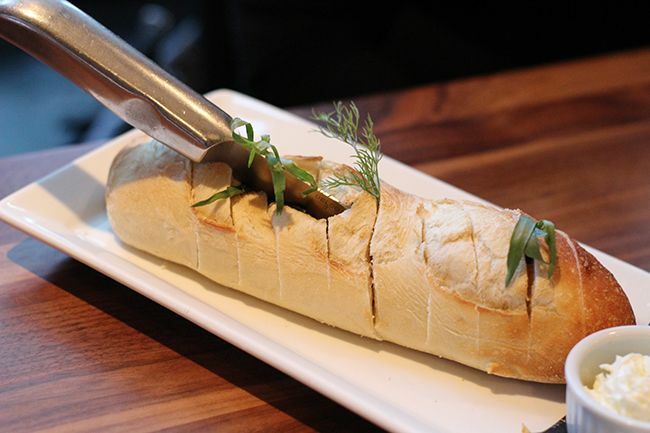 Downtown Edmonton is full of dining hot spots. 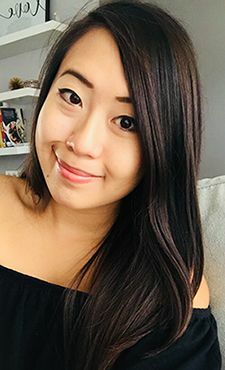 These days it feels like there's a new restaurant popping up on every street corner and it's hard to keep up, but it's also equally important to remember to support the established restaurants. The Century Hospitality Group has always been a prominent player in the Edmonton culinary scene. The group runs multiple restaurants throughout the city (MKT, Delux Burger Bar, etc. ), and even has further expansion plans this Fall. There has been a lot of movement in the Century Hospitality Group over the past few years, with chefs moving around and concepts being changed, so I was looking forward to trying out some of the fresh new dishes on the menu at LUX. Chef Tony Le has been with the Century Hospitality Group since 2006 and took on the role as Executive Chef for the group over the last few years. 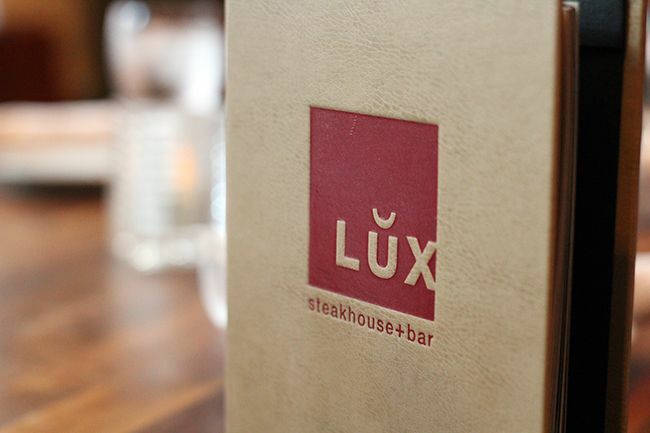 Out of all the restaurants, LUX has always been a staple for people working in the downtown business core. Located within Commerce Place, it's easy to walk to and caters to both the lunch and dinner crowd. The dining room has more of an upscale feel, while the lounge is more relaxed. Our night started off with a selection of small bites and shareable appetizers, and first to the table was the Kale Salad ($9/$13). 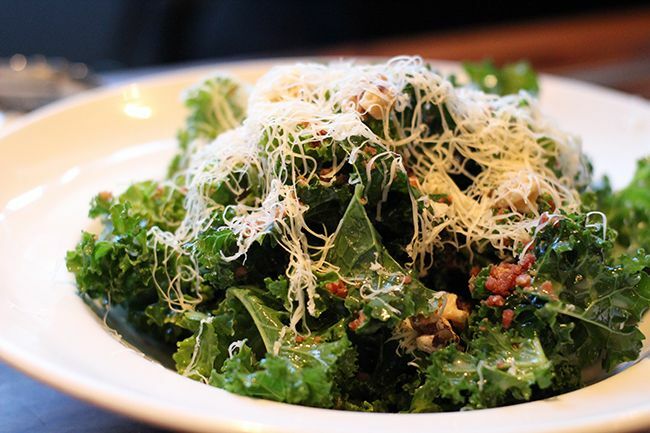 Kale tends to be a love it or hate it ingredient, but I found that this salad with honey lemon vinaigrette, shaved Sylvan Star Gouda, ground pancetta, and walnuts to be well balanced, light, and really fresh with the citrus notes. Pork Belly fans at the table were happy to see the next dish come to the table. 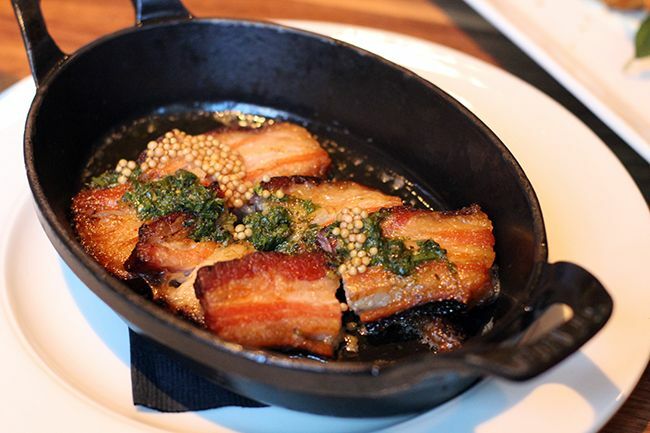 The 24 Hour Bacon ($14) features a slab of bacon that is braised for 24 hours before being cut and seared. Each piece was fatty and seared crispy, pairing well with the acidity from the mustard and pesto served on top. 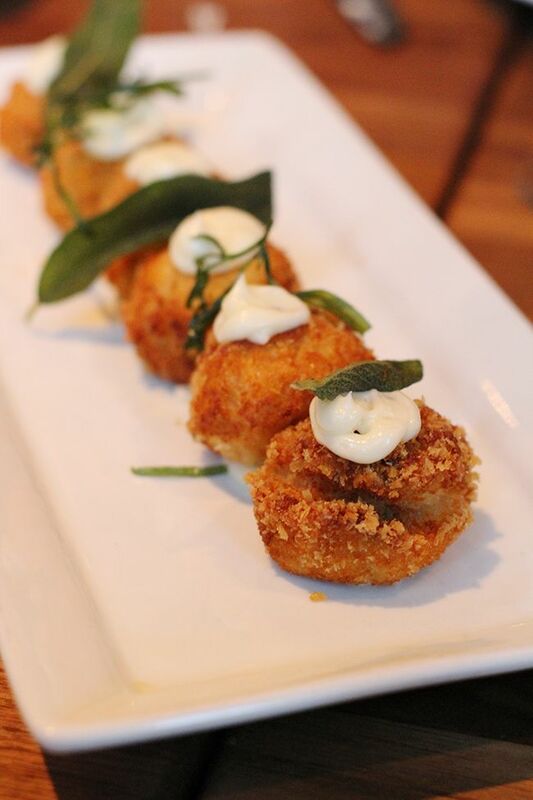 The Lobster Croquettes ($19) were crisp, decadent morsels perfect for sharing between two or three people. With a combination of Atlantic Lobster, mascarpone cheese, and Yukon Gold potatoes, the croquettes were rich but not overly dense. The exterior was fried golden and topped with crisp herbs and truffle aioli, adding an additional dimension of flavour. 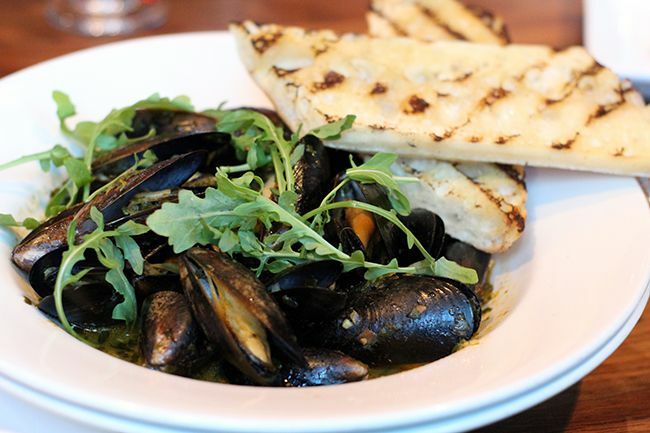 Next up came the Spicy PEI Mussels ($17) cooked in a sauce of Sriracha pesto, leeks, white wine, parsley and shallots, and served with a side of grilled bread. The mussels were plump and fresh, and the sauce was seasoned well so as not to overpower the natural flavour of the mussels. 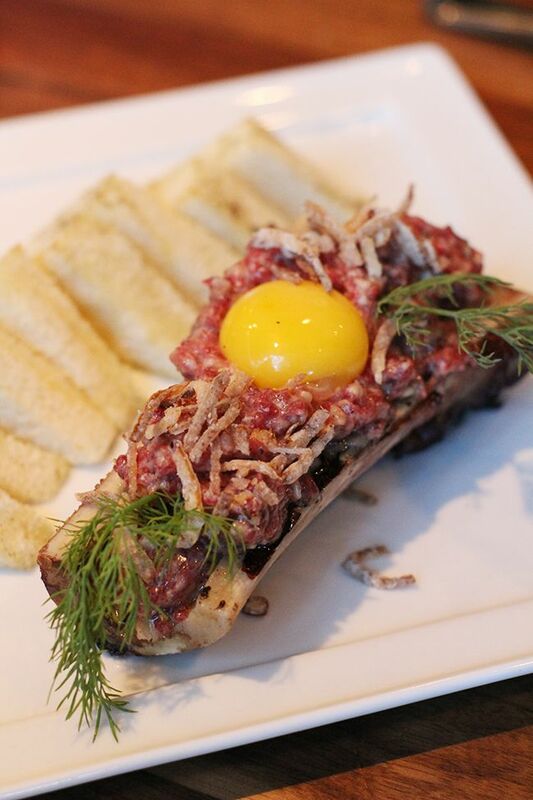 Last but not least was the Bone Marrow Stk Tartare ($17) with it's unique presentation right in the bone itself. Unfortunately, unconventional presentation made the tartare difficult to mix as the bone below didn't have the marrow roasted out of it. Using AAA Alberta beef, dijon mustard, capers, herbs, roasted garlic, and crispy shallots, the tartare was fragrant but could have used a bit more salt for seasoning. Main courses served family style is new to LUX, but Chef Tony wanted to incorporate some dishes that encouraged sharing amongst the table. 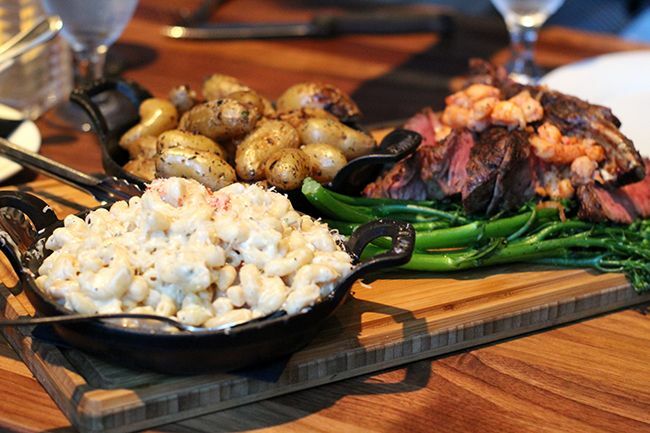 One of the boards is a classic Surf + Turf ($115) featuring a 24oz lollipop ribeye topped with sautéed langoustine, a generous side of lobster mac & cheese, grilled rapini, roasted fingerling potatoes, and classic bernaise sauce. The ribeye was cooked to a perfect medium rare and the mac & cheese was rich and creamy, as expected. The potatoes may look like a filler, but well seasoned fingerlings are a great accompaniment to any steak, if you ask me. Based solely on the price point you may be looking for more food, but don't be fooled as this surf + turf can easily fill 2-3 bellies. 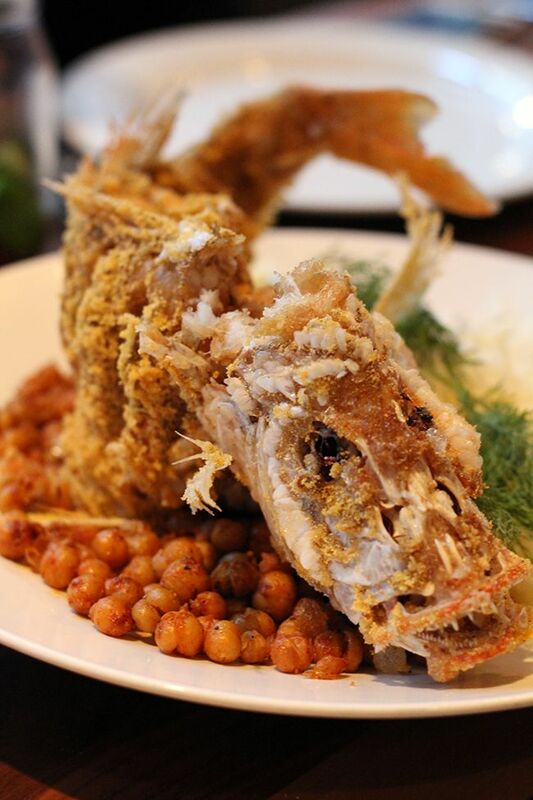 You could hear everyone's amazement when the Crispy Corn Meal Snapper ($69) made it to the table. I never expected to see a whole deep fried fish staring at me outside of a Chinese restaurant, so I was excited for this one! 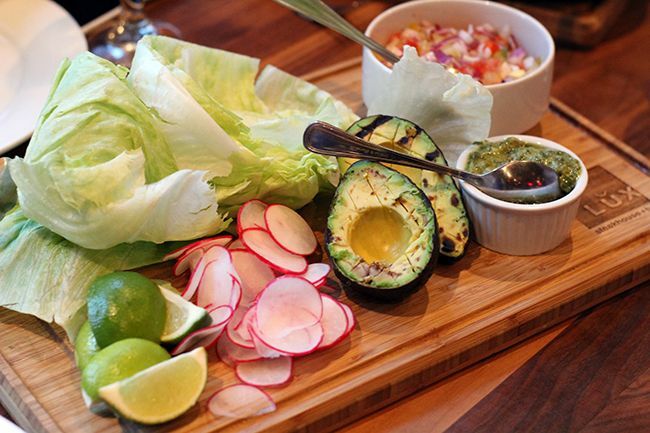 This whole Pacific Snapper was served on a bed of crispy chickpeas and cabbage and accompanied by a board of iceberg lettuce, thinly sliced radishes, grilled avocado, cilantro, and salsa verde. The hands-on eating was fun and interactive as we worked on building our own crispy 'fish tacos'. Now if you're not a fan of looking your food in the eye, the kitchen is happy to serve the snapper with the head off. It's been a few years since my last visit to LUX and I was pleasantly surprised by our meal that evening. While LUX is branded as a steakhouse I like that there are modern twists and unexpected surprises on the menu. There are some premium prices that would prevent it from being your go-to restaurant, but it's a great spot downtown for your next special occasion or celebratory meal. *Disclosure: I was invited to a menu launch for LUX Steakhouse. Views expressed in this post are solely mine. This post is 100% my opinion, and as always, my priority is to you, the reader, to present an unbiased, thorough review.